Anyone know what the rundown timer is on ships that have been abandoned? NA PVE With the incoming NA PVE server- what will happen to the land owned by those who are currently on the EU PVE that transfer to the NA PVE? Will the devs auto wipe any claims they have to free up some of the small islands for those who didn't get a small island? Allowing those in the EU to get them? Im guessing that some will be responsible and unclaim them but I can see a situation where some might put in a large sum of gold to keep it going even though they have no intention of coming back. So if there are going to be new bigger islands, does that mean 1. That exsisting islands will be moved? 2. 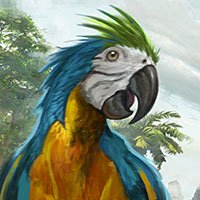 Claim/upkeep rates will be changed? We already have a lot of unclaimed islands because many people cant afford the upkeep. 3. Will we lose all we currently have due to a wipe? I would agree with this. Ours was on a very narrow cliff edge. On 6 successive attempts 2 of them kept bugging out into the cliff. We built a temporary platform but that did not help. In the end we built a cliff platform with a wall around it and some half walls on it to help protect the archers. I must stress. It's important that you have everyone out on the platform, even the archers. We had a couple of archers on the ledge above them and that was the cause of them bugging out. The mobs are level 94 so care is needed. Its doable if you have people on the bears who can heal them. We started with 4 bears but our last attempt we only had 2. Group size was 10. Hard work but worth the effort. One last thing. The prize money is divided between the group. So although it was worth 1900 gold we only got 153 each which did not add up to 1900 only 1530. Ive been having this issue for the last hour or so. If I log in using the second option (Join new Atlas) then I can get into the game after I click on cancel when it times out. Problem is I cannot interact with anything. I cant even use the "I" menu to check out my character. Not so. Im left handed and found it near impossible. I use the mouse with my left hand so my right hand is using the keyboard. The keys are difficult at best and unusable at worst. Anyone else missing the "rejoin" button? Ive logged and relogged several times in the last few minutes but the "rejoin server" button is not appearing. Update. I can log in through the next button down the list - to "join a server", but although Im logged in I cannot interact with anything. We found our first ever masterworks treasure map which is for H5. As a group we went out to to take on the challenge taking 4 bears with us. We have attempted to complete this map at least 6 times, but each time it claims that 2 are not dead. We have people there tracking each one and we cant see any disappearing. Its location is also really bad as it's on a narrow ledge by the sea. I'm with a different company to the poster. But this is exactly what we have done to. We welcome folk who want to stay but also try to keep our island free of spam foundations.